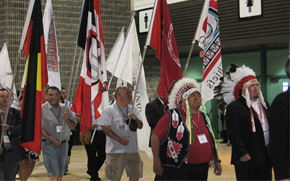 Representatives from CDA participated in the Assembly of First Nations (AFN) 31st Annual General Assembly, held in Winnipeg on July 20-22. This active involvement follows CDA’s strategic cooperation with the AFN, forged during this year’s Days on the Hill meetings with the federal government. CDA’s Advocacy Committee suggested that CDA officials take a more prominent role in AFN activities, to further demonstrate CDA’s commitment to work in cooperation with AFN leadership to make improvements to the NIHB dental plan and the oral health of First Nations people. “CDA was warmly received by the AFN delegates and we were encouraged to continue to advocate for improvements to the NIHB program,” said Andrew Jones, CDA’s director of public affairs. 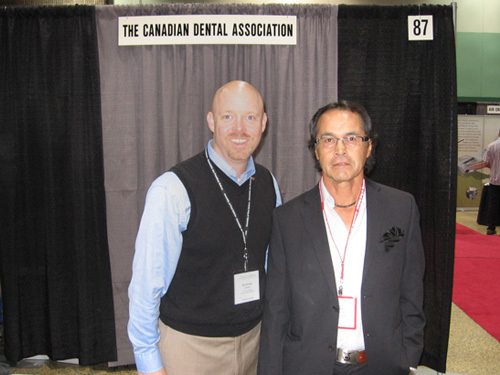 “We were able to deliver CDA’s position on NIHB and First Nations oral health to the grassroots AFN leadership and several members of Parliament in attendance,” he added. Among the highlights in Winnipeg, CDA participated in a roundtable discussion on Best Practices in Health and Health Care. The event was hosted by the Hon. Dr. Carolyn Bennett, MP, Liberal Health Critic; the Hon. Anita Neville, MP, Liberal Status of Women Critic, and Todd Russell, MP, Liberal Aboriginal Affairs Critic. Other informal discussions with British Columbia regional Chiefs Keith Matthew and Felix Amess allowed CDA to learn more about the oral health challenges facing First Nations people. 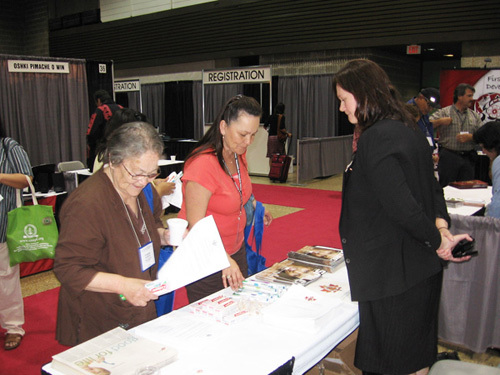 CDA representatives also took the opportunity to distribute public education and advocacy material to AFN delegates at the Circle of Friends trade show. CDA would like to thank the Manitoba Dental Association for its generous donation of toothpaste and toothbrushes that were distributed to delegates. 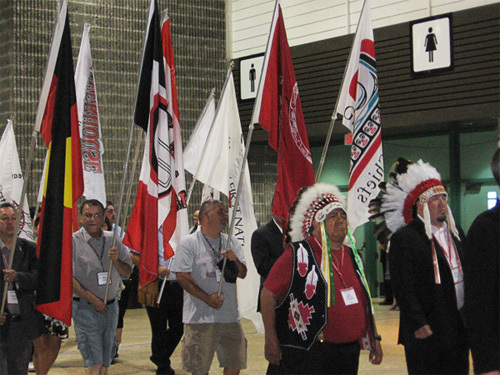 Opening ceremonies of the Assembly of First Nations 31st Annual General Assembly. CDA distributed public education and dental hygiene materials at the Circle of Friends trade show. 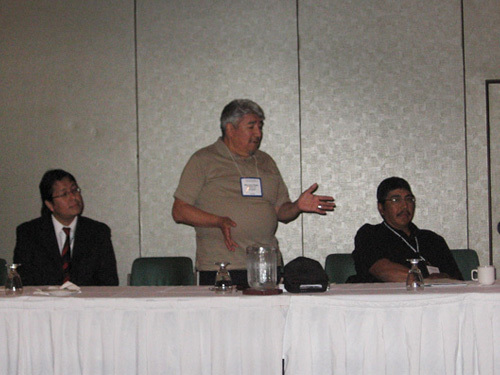 AFN delegate addresses the Best Practices in Health and Health Care roundtable discussion. 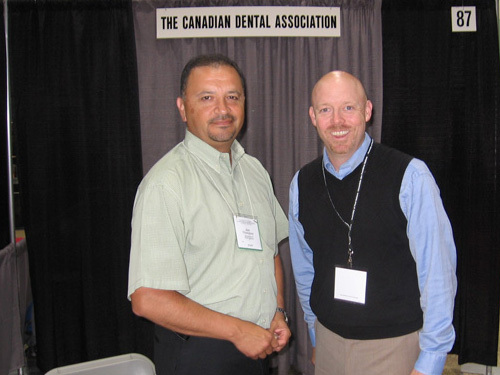 Andrew Jones (left), CDA’s director of public affairs, with Felix Amess, British Columbia regional Chief. Jonathan Thompson (left), AFN’s director of health and social development, with Andrew Jones, CDA’s director of public affairs.